Transaction logs from the i-Kadex and k-Kadex are stored in the master terminal, which can then be managed easily with the Ingress powerful complimentary software. By installing an exit slave reader instead of a push button, the management will find it easier to track the movement of staff, as verification is needed even when exiting the premises. 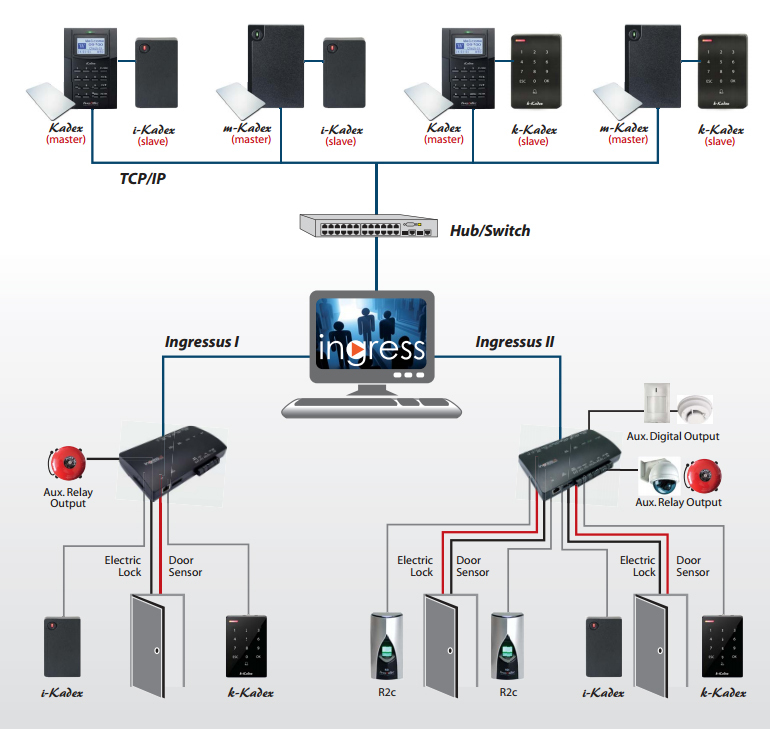 The i-Kadex and k-Kadex come with a Wiegand 26-bit output, which means it can connect to most external controllers without hassles. The quality of the i-Kadex and k-Kadex is impeccable, being IP65 rated, which means that it is not only dustproof, but water resistant as well. The smooth surface of the k-Kadex is equipped with a unique touch keypad providing you with a touch of class. Although being primarily a card reader, the i-Kadex and k-Kadex can also connect to other fingerprint and face recognition master terminals as an exit slave reader. 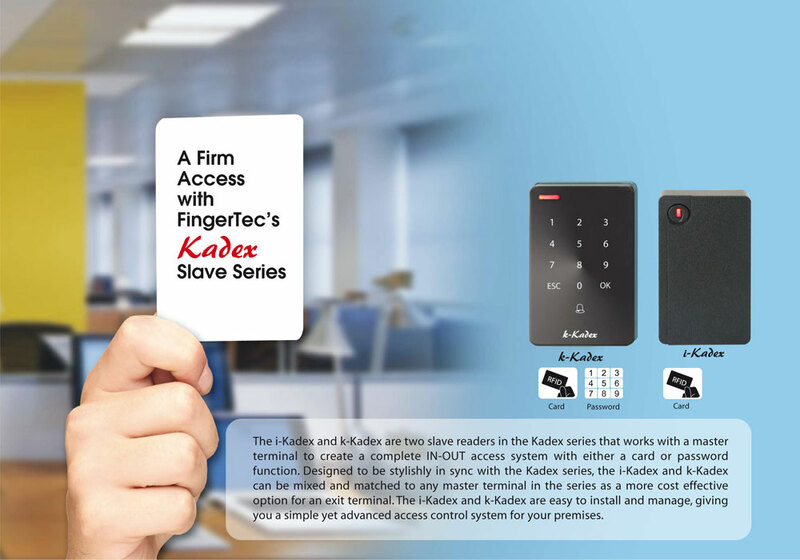 The i-Kadex and k-Kadex can be integrated with a FingerTec master terminal or it can be connected with an Ingressus controller or third party controller to function as a master terminal. Mix and match the terminals with either the m-Kadex or Kadex to give you more value for your money.